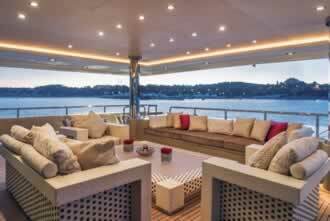 Luxury motor yacht Light Holic was built in Ancona Italy in 2011 and had a refit in 2014. 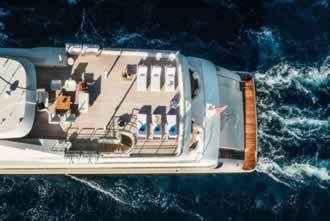 This motor yacht offers specious accommodations for 12 guests in 6 cabins and has a 15 member professional crew to cater to your needs. 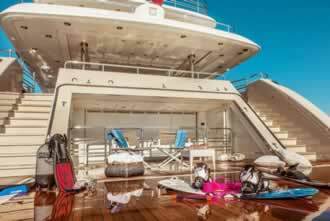 The yacht is built with high standard materials offering a luxurious interior design and specious exterior areas designed specifically for your complete satisfaction on a leisurely sailing holiday for private relaxation fun and satisfaction. 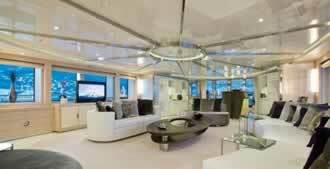 Some of the extra features this yacht offers is a Jacuzzi and a gym. 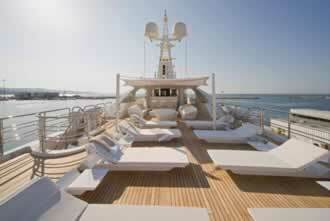 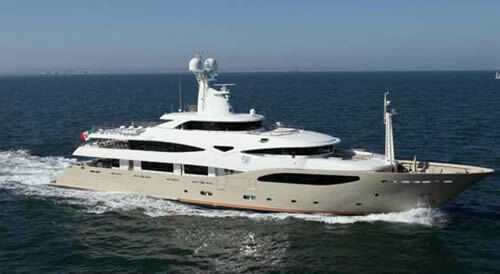 Spend your sailing holidays in Greece and the Greek Islands on board this fantastic luxury mega yacht. 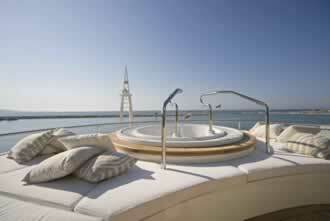 Other features the yacht offers are Air Conditioning, Gym, Jacuzzi, Banana, Water Toys, Tubes and more. 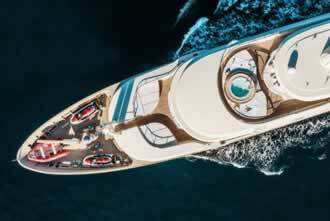 For more info do not hesitate to contact us at: info@yachting-greece.com Send us your inquiry today! 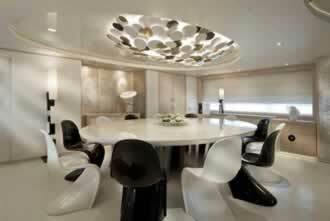 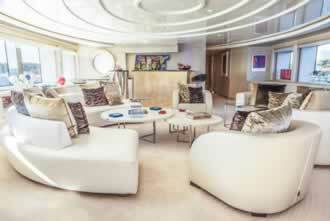 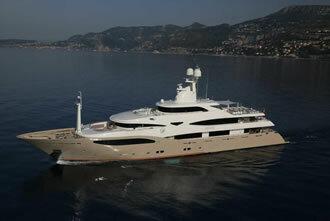 The motor yacht "Light Holic" can accommodate 12 guests in 6 luxury cabins. 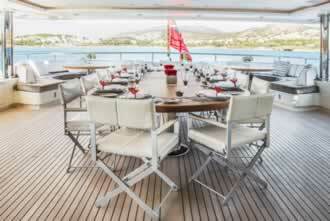 It offers a highly professional 7 member crew catering to guests needs.